Есть вопрос для Puri Piman Chiang Mai? Удобно расположенный в районе для посещения культурных достопримечательностей, ресторанов, посещения достопримечательностей, города Чиангмай, Puri Piman Chiang Mai обеспечит все необходимое, для того, чтобы гости смогли расслабиться и отдохнуть от дневной суеты. Отсюда, гости могут всецело ощутить преимущество удачного расположения и близости ко всему, что может предложить оживленный город своим туристам. Для осмотра достопримечательностей и интересных мест в округе, не нужно далеко ходить, так как отель находится недалеко от Ват Ку Тао, Chang Phueak Hospital, Госпиталь Чанг Пхуак. В Puri Piman Chiang Mai, делается все возможное, чтобы гости чувствовали себя комфортно. Безупречное обслуживание и превосходные удобства являются основными принципами в работе отеля. Отель предлагает доступ к широкому спектру услуг, в том числе бесплатный Wi-Fi в номерах, Wi-Fi на территории, парковка, обслуживание номеров, аренда автомобилей. Уникальная атмосфера в Puri Piman Chiang Mai находит свое отражение в номерах. телевизор с плоским экраном, Wi-Fi, Wi-Fi (бесплатный), номера для некурящих, кондиционер лишь некоторые из удобств, которые находятся в вашем полном распоряжении. В отеле можно найти полный спектр услуг для отдыха и развлечений, в том числе сад. Независимо от цели вашей поездки, Puri Piman Chiang Mai является отличным выбором во время вашего пребывания в Чиангмай. Пожалуйста, обратите внимание: стойка регистрации закрывается в 22:00 ежедневно. Если гостям необходимо пройти регистрацию заезда после указанных часов, они могут получить ключ от номера у охранника отеля. Номер-студио с 2 отдельными кроватями. Хороший недорогой отель с парковкой. Удобно мыть фрукты в мойке на балконе, это хорошее решение. До центра (на карте обозначен как квадрат) можно добрать на такси uber, стоимость поездки всего 35-60 thb. Есть кафе при отеле. Заселялись ночью, предварительно позвонили, нас встретил гостепреимный охранник и передал ключи в конверте. Amazing value for money, a bit dated but so what? It has more facilities than other hotels double the price, highly recommended place to stay in a city where you will be out for most of the time anyway. I little far from the centre of Chiang Mai but transport easily available. Great location, really pleasant and clean rooms, but the thing that makes this such a good place to stay are the staff (Ms Yok) All of the people are incredibly helpful, we were facing some problem and they help us to settle it. at night they will be security around the lobby area. great place if you travel with family. 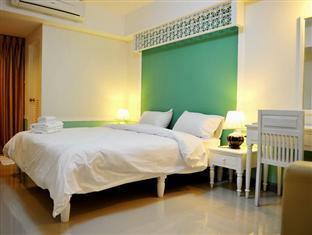 I've stayed here a few times now and the value is unbeatable for Chiang Mai . The only downside would be that it is slightly further out from the Old city (an extra few minutes walk) But this is the best room available in this price range especially if you have rented scooter etc or use the public transportation systems. I've read a recent review of the room being dirty and I don't even know how that would be possible here. I booked this hotel for my cousin and her family. She said it was perfect. The staff was nice and take care of them. The room was clean. Anyway it is pretty far from the city. You need to have you own vehicle. Big and clean room, 10 min to city center. so really recommend it. This is quite out of the way but convenient for Chang Pueak bus station. No facilities, just rooms - apparently it was one of the early monthly-rental 'condo' type places. Big room but very dated decor. Good value for money though. Staff is very professional and helpful. Everything is around the hotel from laundry machine to cheap restaurants. Very convenient. But far from the city center. The street in front of the building has heavy traffic; hence, noisy. I stayed in this hotel for 8 days and quite enjoy my stay. Aside from the fact that the location is a bit difficult to find at the beginning, I found this hotel to be a great place to stay even for long duration. 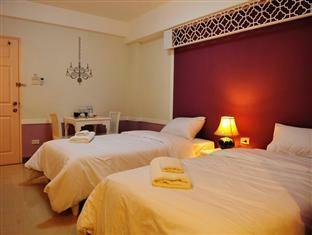 Rooms are very clean and well maintained, are equipped with hot water pot, fridge, microwave .... If have access to transportation or don't mind walking to the main road to access the public means to get to center town, I highly recommend this place. 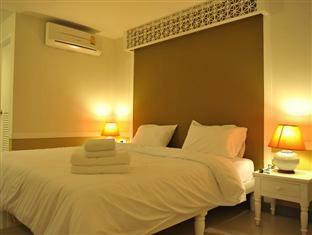 The hotel is located in an old part of Chiangmai close to a university... Streets are narrow, but it really is charming. Hotel is well done,.. with detail and care. It probably needs to charge more, because the facility is starting to show signs of wear and tear. Needs maintenance soon. It is really value for money. 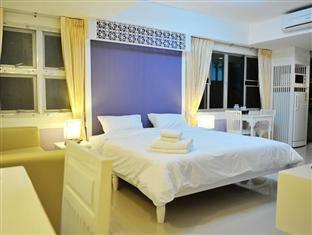 The room is much better than my expectation as the price is also cheap. The location is near to most visited places. Because this is apartment, the front desk is not available 24hrs. We were lucky enough to read the hotel policies on the website. So, the room key was left to the security guard, as we arrived Chiang Mai by 22:30. Very dusty and uncomfortable. I travel to in Chiangmai two times a month and this is first time I got homesick. Place is really bad, dust on all table, no amenity (has microwave but no kitchenette, has ovaltine bag but no water pot), bed is like it could break at anytime and spring will hurt my body. It is dusty even the bed sheet and blanket, with full of strain which such a blanket should already be trashed out. Shower is very bad design, hard to hold and hard to adjust. Internet speed is slower than my mobile. It might be personal but I won't consider staying here again. Nothing seems to be in good condition here. Only 1 good thing is staffs are very polite. Good price, good value. Room is cute, clean but not good location. You need to walk pretty long to deep small street and if there is swimming pool to enjoy that would be nice! 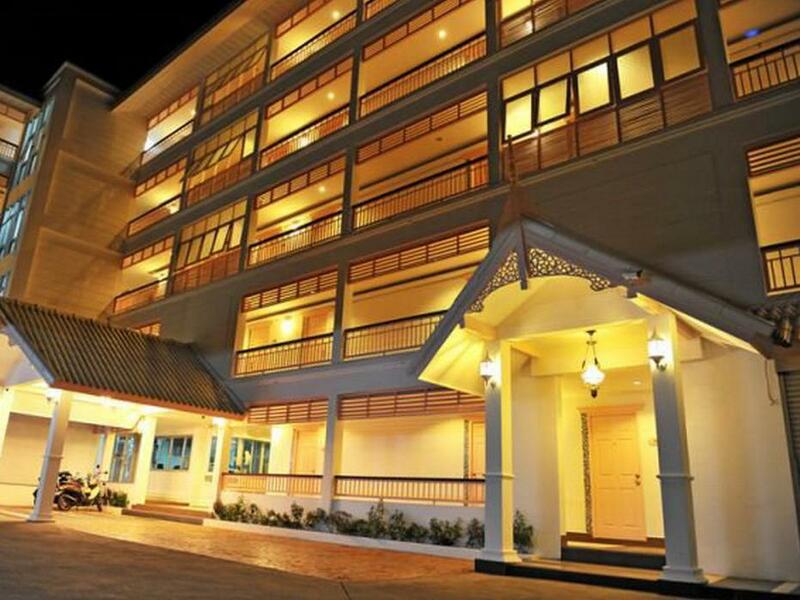 Recommend staying here if you visit Chiang Mai! Great hotel, bit of a walk into town but it’s only 20 min walk.